Knowing how to master reset iPad is something that will definitely come in handy, whether you’re planning on giving your iPad to someone else, need to reset it due to software errors, or you need to factory reset your device due to forgetting your login details. This article will show you how to master reset your iPad, no matter what the reason. Unlike the in-house methods you might normally use to reset your iPad, using iMyFone Umate Pro ensures that your iPad is reset back to factory settings while also ensuring your data is 100% removed and 100% irrecoverable. Let’s take a closer look at the features of this great program. 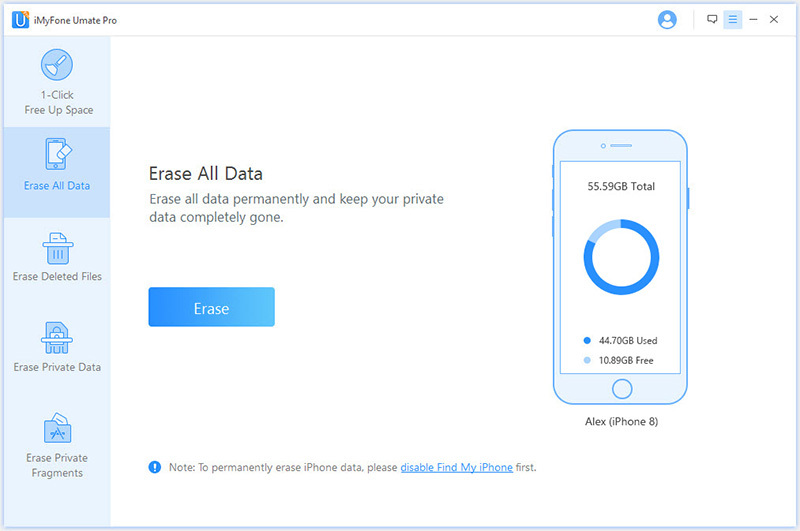 Permanent Erasure: With iMyFone Umate Pro, all of your data will be 100% permanently erased and cannot be recovered by the next owner/user of the iPad. This is essential for removing the chances of your personal information, such as photos, passwords, third-party app data or files, leaking to the next person who owns the iPad. 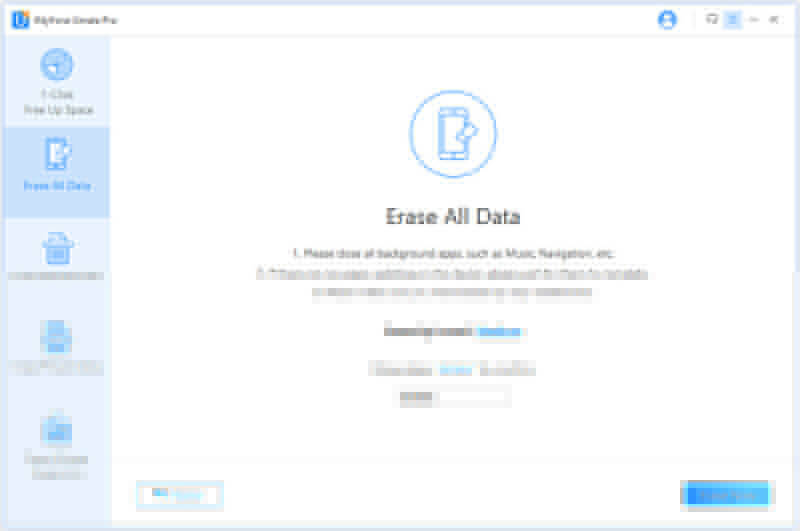 Scan Deleted Files: iMyFone Umate Pro is so powerful that it can detected if any data you've deleted in the past is left behind in any way on your iPad. If it detects deleted data, it will delete it permanently, ensuring that your private date stays private. Step 1. Install and launch iMyFone Umate Pro, connect your iPad to your computer. Step 2. Select Erase All Data mode at the home interface and click on Erase button. Step 3. Choose a security level, here recommend the High Level or Medium Level. Step 4. Manually type 'delete' into the box to confirm your action, Click Erase Now button to master reset your iPad. 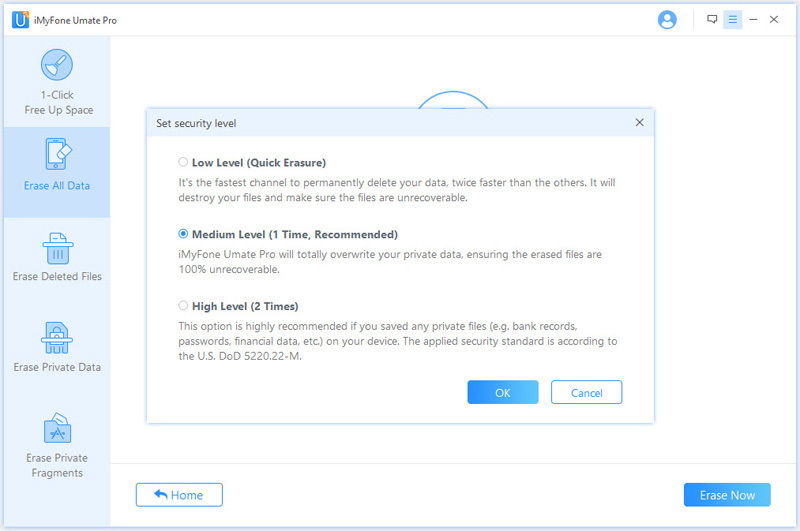 If you want to make sure that your data is 100% completely gone from your iPad, then you definitely need to take advantage of the iMyFone Umate Pro software. It’s easy to use, works quickly, and is the best option when you want to make sure all your data is truly gone. It’s not uncommon for iPads to occasionally get a bit stuck; this usually means that the screen is frozen or it won’t respond to your touchscreen commands or any of the volume and power buttons on the device itself. Thankfully, there’s usually an easy fix for this type of issue: a hard reset. Unlike a full master reset on iPad, a hard reset is basically a hard reboot that will get your device running again in just a few moments. Step 1: Hold down both the home and the on/off button(s) at the same time. 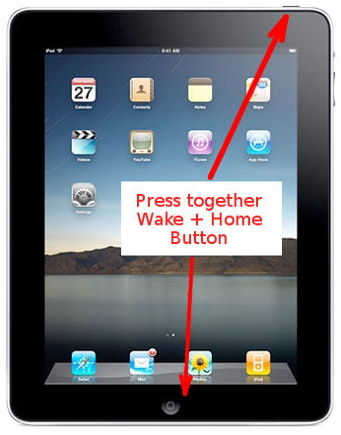 Step 2: Hold these buttons for a few moments and you'll see the slider appear on the home screen (as it does for master reset iPad)—but do not let go of the buttons at this point. Step 3: The screen will go black. When you see the Apple logo on the screen, let go of the buttons. That's it! It happens: you forget the passcode to your iPad and can’t access your device. What do you do? Download iMyFone LockWiper to help you master rest apple iPad even without your passcode. Let’s take a closer look at LockWiper’s features and how to use it properly. 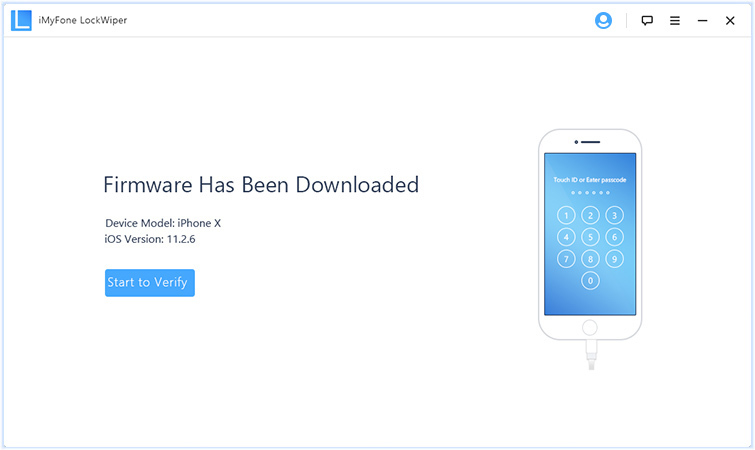 Reset devices without your passcode: LockWiper will master reset apple iPad and iPhone devices and unlock them when you've forgotten or otherwise cannot access your passcode. Unlocks devices no matter the type of passcode: LockWiper can unlock devices that use any passcode, including: Face ID, Touch ID, 4-digit and 6-digit passcodes. Step 1: Launch iMyFone LockWiper on your computer and then connect your device. 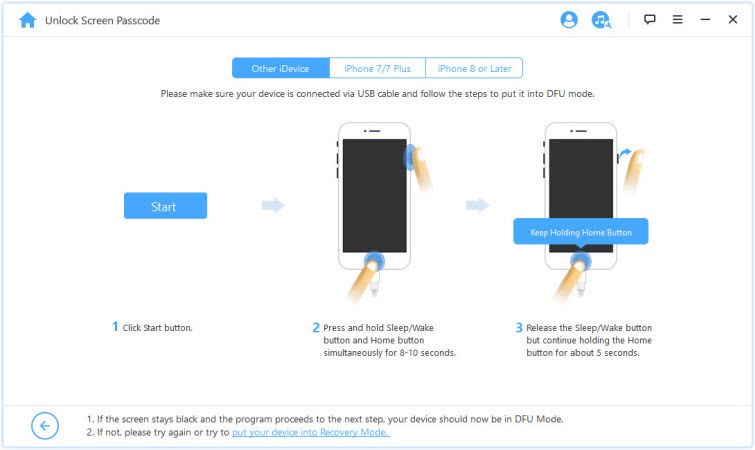 Step 2: Choose your device model on the program screen and follow the prompts to put it into DFU Mode or Recovery Mode. Step 3: Once you’ve set the device into DFU or Recovery mode, the appropriate firmware package will show up on the screen. Click on Download button to download the firmware. 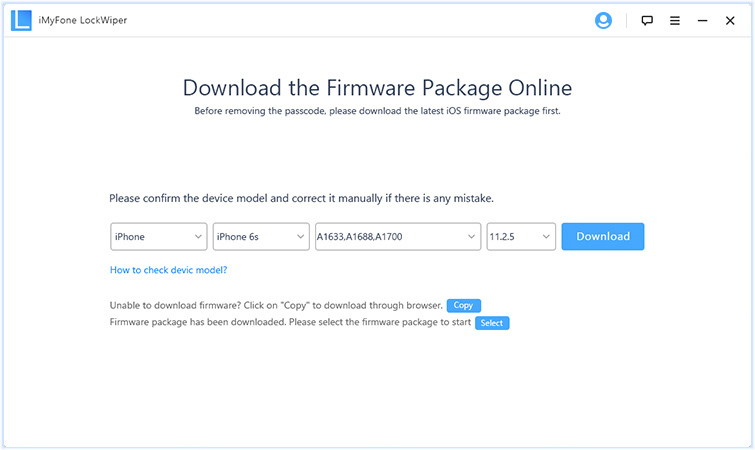 Step 4: After the firmware package is downloaded, click "Start to Verify." Step 5: Click "Start Unlock" to begin the unlocking process. The program will let you know when the unlocking process is complete. 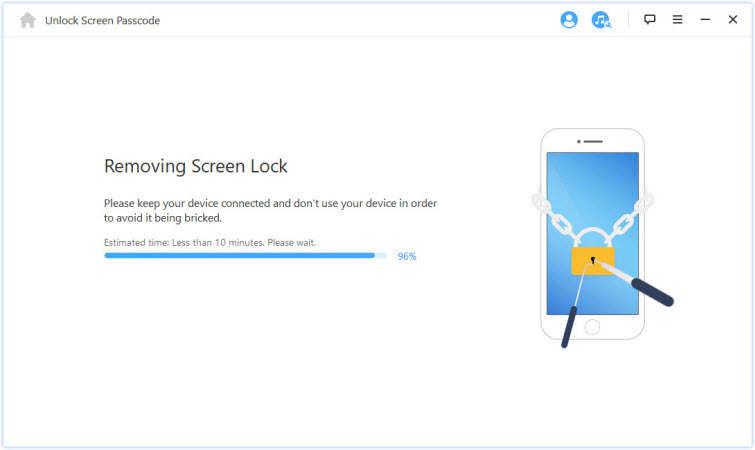 iMyFone LockWiper will master reset apple iPad or iPhone during this process. This means all of the data on your iPad will be removed.